It claims to exfoliate, "purify pores and eliminating free radicals with pollutant-binding volcanic menerals." (Arcona.com). After using the basic five package for about a month or so, this ought to be my favorite product from the package. It does leaves my skin feeling fresh and soft after cleansing. The scent is hardly noticeable. However, compare to other exfoliate cleanser that I've tried before, this one is just average considering its effect and cost. 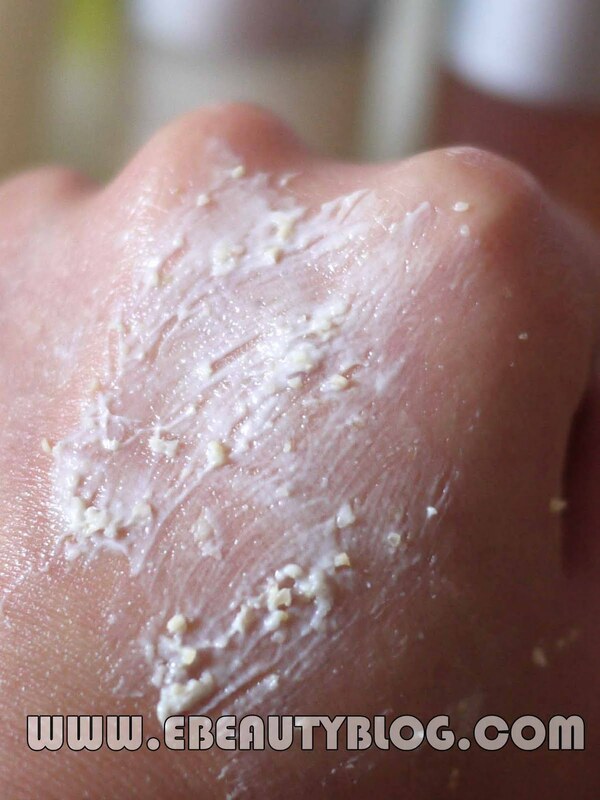 Even though it's gentle and when you rub it onto your skin, it's not too harsh but it also doesn't do a good job in taking away all the makeup residues. I also didn't notice any changes to my skin during the time of using it. I'm giving this a 3/5 rating. This is a lightweight moisturizer. It claims to penetrate deep within the "dermis without clogging pores," hydrate and protect skin against "environmental damage." Compare to other moisturizers that I've used, this one doesn't do a good job on the absorbent and hydrating factors. Although the texture is lightweight and my skin feels tone/tight afterward, I was broking out after using this. I'm not sure if the broke out is from this product alone but when I stopped using it, my skin became normal again. This deserves a 2.5/5 rating for me. This is my least favorite product from Arcona's basic five package. It has a strong organic scent which didn't bother me much but what really bothers me is the sticky feeling after applying it onto my skin. Also, I normally apply skincare before sunscreen or foundation so when I applied Arcona's Magic White Ice and or the Desert Mist before foundation (usually bb cream), my t-zones tend to get oily more often and doesn't look as vibrant compare to when I used other skincare under. I'm giving this a 2/5 rating. 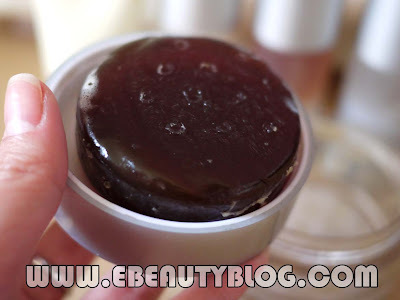 At first I thought the idea of having a cleanser as a bar soap is pretty interesting but after using it a while, I preferred to go with the regular cosmetic packaging such as in bottle or jar. The thing I like about this cleanser is its organic scent. After washing, my skin feels fresh, tight and smooth. This would be my second favorite if only the packaging is different. After cleansing, there will still be water on the bar, which causes it to stick to the pan of the container. I'm giving this a 3.5/5 rating. It claims to "repairs sun damage and resurfaces skin as you sleep." To be honest, I didn't notice any special changes to my skin while using this product. Again, I feel that the product didn't really absorb into my skin like how it claimed. This is a 2.5/5 rating for me. I will not try Arcona's product again any time soon. This is the first time I'm trying their products and the only thing that attracted me to tried it in the first place is because the beauty consultant told me that all the ingredients used in the products are natural. I've always been attracted to the word "ORGANIC." Even when shopping for any other essentials, I tend to always convinced myself that ORGANIC is a little better. 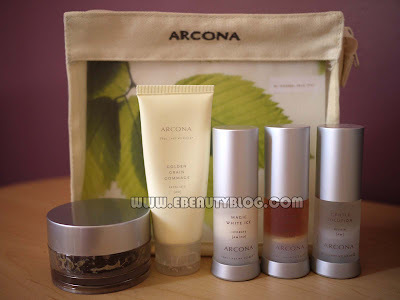 With Arcona's basic five skincare package, I'm not too disappointed since I've been wanting to try their skincare line for quite sometimes. Again, everyone skin is different, Arcona doesn't work for me but it may do wonder for others. All in All, Arcona is not too pricey but not too affordable either. I'm going back to trying out Asian Skincare products, which I believe work better on my skin. I'm currently trying out Isa Knox Alarm Cell Recovery skincare right now and so far I'm liking it more than Arcona's. georgeus blouse, where did you buy it? maybe on-line? thank you. It's a dress actually. I got them at a fashion store around my area. hmm interesting. I was using it as suggested by their beauty consultant. She specifically outline the steps for me and the steps was also included in the package pamphlet. So if what you're saying is correct then they need to re-train their beauty consultant. I've since switched to a different brand and so far I have better result so I won't be trying Arcona again anytime soon. Thank you for your input.